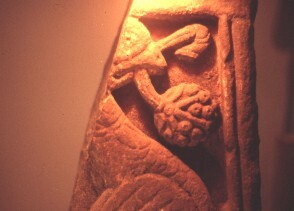 The upper panel has a winged creature, with a long tail, (possibly a griffin). The creature has something in its mouth. Close-up of the griffin's head.